Historically the stuff of fantasy, the development of the commercial space and drone industry of today adds a new dimension to the impact of aerospace in everyday life. Aerospace also plays a vital role in defense industries and military applications; however, our coverage is largely limited to non-defense applications. At Plunkett Research, we estimate the global aerospace market at $1.1 trillion for 2018. The Satellite Industry Association (SIA) places the global satellite sector at $269 billion for 2017, including $15.5 billion for satellite manufacturing and $4.6 billion for the launch industry. About one-half, or $128.7 billion, of satellite revenues are for services, such as the satellite support of TV, radio and broadband transmission. The modern roots of the aerospace industry can be traced back to pioneers in engine-powered flight, such as America's Wright brothers, who famously made their first public flight in 1903, staying aloft for 12 seconds and covering 120 feet in distance. The British, French and Germans also have lengthy and important histories in flight, including development of massive balloons and dirigibles capable of carrying man over significant distances. The French also gave the Wright Brothers a badly-needed early boost, by purchasing early Wright-manufactured aircraft for military purposes. Russia and America were both early pioneers in rockets, satellites and space technologies, sometimes utilizing brilliant scientists who had formerly lived in Germany during the 1930s and 1940s. The aerospace industry plays a vital role in such sectors as global trade and commerce, communications, transportation, and defense. 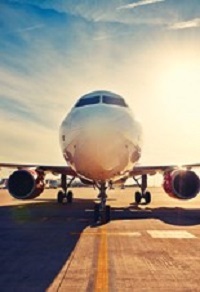 More than just airlines and aircraft manufacturing, the aerospace industry includes original equipment manufacturing (OEM), avionics, electronics, rockets, space vehicles, satellites, and drones. The complex requirements for achieving flight also make the aerospace industry a key contributor to advancements in computing, advanced materials, and manufacturing. Historically the stuff of fantasy, the development of the commercial space and drone industry of today adds a new dimension to the impact of aerospace in everyday life. Aerospace also plays a vital role in defense industries and military applications; however, our coverage is largely limited to non-defense applications. At Plunkett Research, we estimate the global aerospace market at $1.1 trillion for 2018. The Satellite Industry Association (SIA) places the global satellite sector at $269 billion for 2017, including $15.5 billion for satellite manufacturing and $4.6 billion for the launch industry. About one-half, or $128.7 billion, of satellite revenues are for services, such as the satellite support of TV, radio and broadband transmission. The modern roots of the aerospace industry can be traced back to pioneers in engine-powered flight, such as America’s Wright brothers, who famously made their first public flight in 1903, staying aloft for 12 seconds and covering 120 feet in distance. The British, French and Germans also have lengthy and important histories in flight, including development of massive balloons and dirigibles capable of carrying man over significant distances. The French also gave the Wright Brothers a badly-needed early boost, by purchasing early Wright-manufactured aircraft for military purposes. Russia and America were both early pioneers in rockets, satellites and space technologies, sometimes utilizing brilliant scientists who had formerly lived in Germany during the 1930s and 1940s. Israel has been extremely innovative in terms of cost-effective, advanced defense aerospace technologies, largely supported by its government. Today, many other nations have significant aerospace industries, including Canada, Brazil, China, Japan and the U.K.
Military and government needs have been the mainstay of aerospace advancements throughout history, including the development of rockets, satellites, jet-powered aircraft and manned space flight. To a very significant degree, civilian uses were able to leap ahead thanks to research, development and investment made by governments and military agencies. Postal authorities generated demand for private flights through airmail contracts. National governments worldwide invested in, and often owned outright, major airlines. Governments invested in airports and air traffic control for civilian use. Today, however, it is often the private sector that is developing the most innovative ideas and technologies in aerospace. Entrepreneurs who are comfortable with taking risks are fueling some of the most dramatic changes. Civilian aircraft designer Burt Rutan is famed for innovation in lightweight materials and energy efficient aircraft. Richard Branson has funded Virgin Galactic, focused on its Unity (formerly SpaceShipTwo) suborbital vehicles, based on a Burt Rutan design, capable of ferrying tourists into altitudes of more than 50 miles above the Earth. Entrepreneur Elon Musk, founder of electric car company Tesla, is revolutionizing satellite launches. His SpaceX firm has shown that rocket bodies can be recovered and reused in a highly efficient manner. His methods are slashing the cost of putting satellites into orbit. Jeff Bezos, founder of Amazon.com, has his own reusable space technology at his Blue Origin firm. Boeing, Airbus, Embraer, Bombardier and other private enterprises have invested billions of dollars in research and development of state-of-the art civilian jetliners. Even automobile company Honda is in the game, with its revolutionary small business jet, the HondaJet. Private, non-military companies such as Google sand Facebook have been investing in new aerospace technologies that may enable the delivery of affordable internet access to the most remote corners of the planet. Entrepreneurs and investors at OneWeb are launching a revolutionary “constellation” of approximately 900 low-orbit satellites that will drive down costs and improve performance in telecommunications and internet applications. They have created an extremely cost-efficient satellite factory. Major investors in OneWeb include such non-military, non-aerospace firms as Coca-Cola. The rapidly growing civilian drone industry has opened up an entirely new venue for entrepreneurship, from relatively simple drones for hobbyists to advanced drones for police work, agriculture, safety inspections and much more. This is only the beginning of new uses for drones. There are many reasons to be excited and optimistic about the near-term prospects of the aerospace industry and the benefits that it will produce. Lightweight materials, artificial intelligence, the internet of things (M2M communications), improvements in rockets, miniaturization, especially in satellites and circuitry, along with advancements in jet engines will have a very significant effect on the industry over the short- to mid-term.